POTTERS BAR, United Kingdom – HARMAN’s Soundcraft today announced that its new Si Expression/Si Performer V1.6 software and Si Compact V3.1 software is available for download. 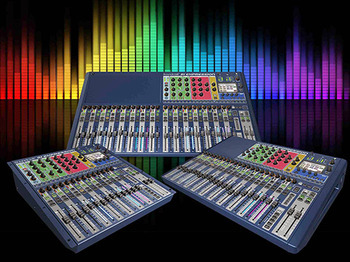 These new software updates offer several new features and improvements to Soundcraft Si Series consoles, including BSS Soundweb London preamp control, external clocking via option cards, selectable input solo modes, Select follow solo, pre-dynamics global bus send, knob bubble pin, and momentary on. With the V1.6/V3.1 software update, Si Expression, Si Performer, and Si Compact have powerful new features specifically geared to improve performance for networked audio and monitoring applications. All console software updates can be accessed from the appropriate product page on the Soundcraft website (www.soundcraft.com). In addition, updated user guides for the Si Dante Card, V1.6/V3.1 software update, and Mini Stagebox 32 are now available from the Soundcraft website. Additionally, supporting How-To videos on the V1.6/V3.1 features are now available on the Soundcraft YouTube channel (www.youtube.com/user/soundcraftuk).